It’s been some time since we last heard from Sacramento’s hyperspeed death metal group The Kennedy Veil. In the time since 2014’s Trinity Of Falsehood, The Kennedy Veil have seen the addition of a new vocalist, Monte Barnard, whose resume includes a ton of live vocalist work for groups like Alterbeast, Fallujah, and Thy Art Is Murder, in addition to having been the vocalist for The Antioch Synopsis and the short-lived Soma Ras. Last week the band were finally able to release details about their new disc, Imperium — which is due out October 20th — as well as release a new song, which premiered at Decibel. 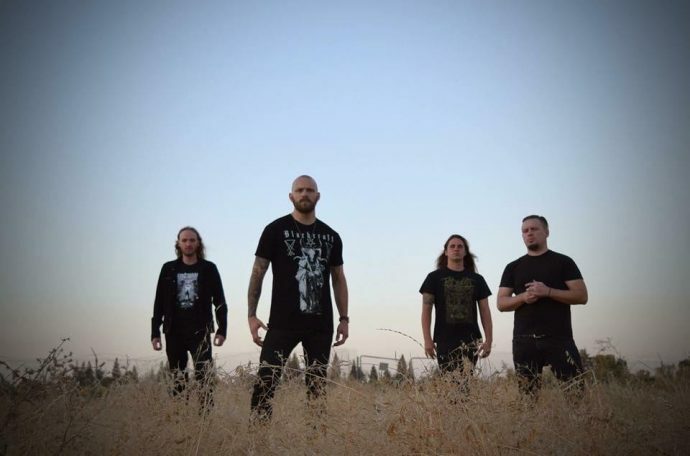 This new track, “Flesh of The Sun“, features the prolific Black Dahlia Murder vocalist Trevor Strnad dishing out multiple high shrieks to travel alongside the new brutal-death lows that are layered throughout the whole song. “Flesh of The Sun” is an interesting track for The Kennedy Veil. It is a longer song than anything the band released on Trinity Of Falsehood, clocking in at over five minutes worth of meaty death metal, and is also a little more dynamic in its tempo. “Flesh Of The Sun” is still very fast, but the group work in some backing symphonic lines for melody and even slow it down at times, which you would think would be a cardinal sin going by their last disc — which was great if you were looking for music that was “all go, all the time”. Judging by the song’s longer run-time and more dynamic writing, it’s looking like The Kennedy Veil are aiming to change up what worked for them the last go=around and really carve out a spot for themselves in the modern death metal scene. UPDATE! 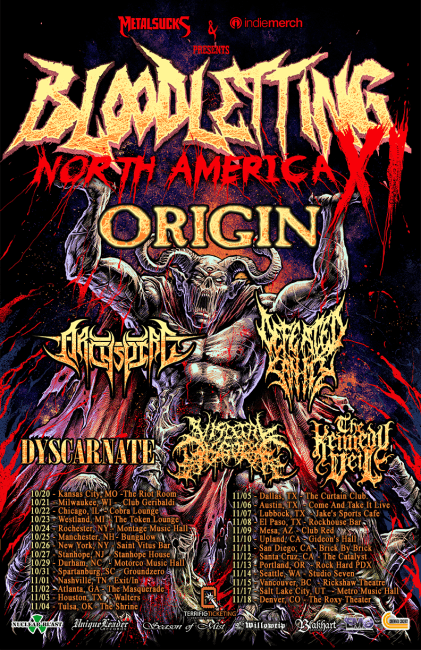 As just announced this morning, The Kennedy Veil will be part of the Bloodletting North America Tour this fall, headlined by Origin and including Archspire, Defeated Sanity, Dyscarnate, and Visceral Disgorge. Check the flyer below for dates and places. We’re actually not that far out from the September 15 release of the new disc Totenritual by these Austrian black metal warlords. That date is approaching at a rapid pace, and in the leadup to the new disc the group have decided to release one more song from it. Like its brethren released prior to this one, “Apophis – Black Dragon” is a massive track, with an over six-minute run-time, yet it is also one of the fastest songs released off of Totenritual yet. It sees the Belphegor crew kicking things into high gear, so that even the quiet moments before its Latin chanted section face complete annihilation via blastbeat in the segments following. “Apophis – Black Dragon” is a take-no-prisoners and make-no-compromises song that revels in the destruction that follows its dedicated worship. In fact, it doesn’t really let up until the built-for-moshing chugging segment that closes the last minute finally makes its appearance, shifting the song’s’ mood from fiery impact to one of martial destuction. It’s a six-minute blast that goes by in a flash and now pretty much has us locked in, looking forward to the full Totenritual release. And now for something near and dear to my heart. We’ve included the occasional crowdfunding campaign on the site before, mostly when we come across something that deeply captures out interest, something we would really like to see become a reality. In this case, I have a deep and abiding love for this group’s last full-length and EP releases and I would really, really love for these guys to take another crack at it. 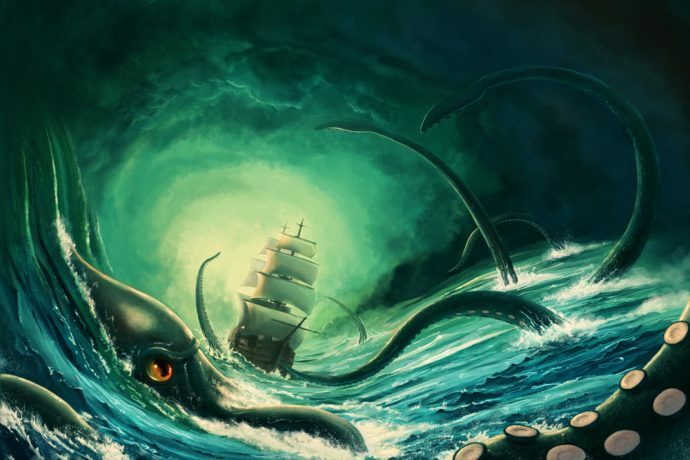 Michigan’s nautical-themed melodeath group Dagon have decided to come back after a lengthy hiatus — their last release was 2011’s five-song EP Vindication — and in doing so have launched a modest indiegogo to help the band record and release a new album. Whilst details about the disc are scarce at the moment, the band have not been shy about letting people peek into their rehearsal space via the occasional Facebook stream and have also been fairly forthcoming with the recording progress of the album. As of this writing, the Dagon crew are at 69% of their $5500 goal with a little over a week left. Although there isn’t any incredibly crazy perk available on this one — outside of an online concert — there are some discounted full disc, shirts, sticker, and foam shark fin (!) bundles. If you aren’t familiar with the sea-obssessed death metal band, Terraphobic is a fantastic place to start. Then, if you enjoyed it like I did, or seeing this band alive once again has relit some long dormant neurons in your brain, maybe help the band record their new disc? 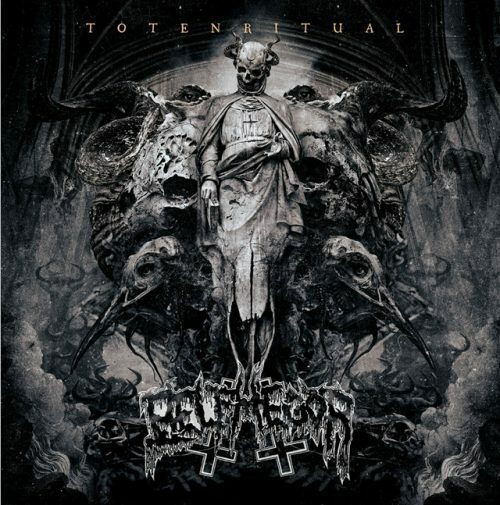 That new Belphegor is going to be a banger for sure, I’m hyped. Gonna kick in 50 bucks to Dagon this Friday when my paycheck hits. Really digging what I hear and it’s a good story. I always like seeing a band come back from a bit of a hiatus, it’s inspiring you know? 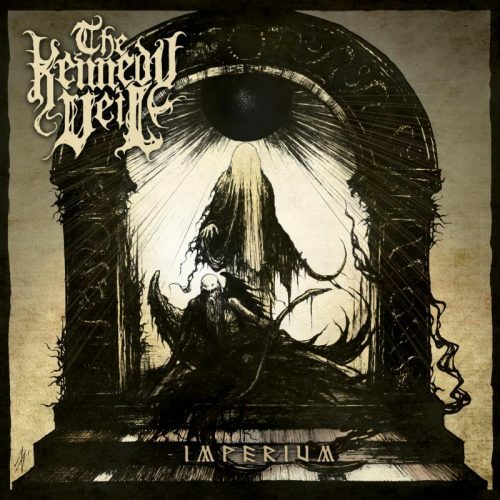 The Kennedy veil is a horrible name, but the music isn’t bad. And I’ve always wondered, how do you pronounce Strnad? Stir-nad? Strad? Strrd? I’ve gon with Strnad or the more common approach, avoid pronouncing his last name as much as possible.